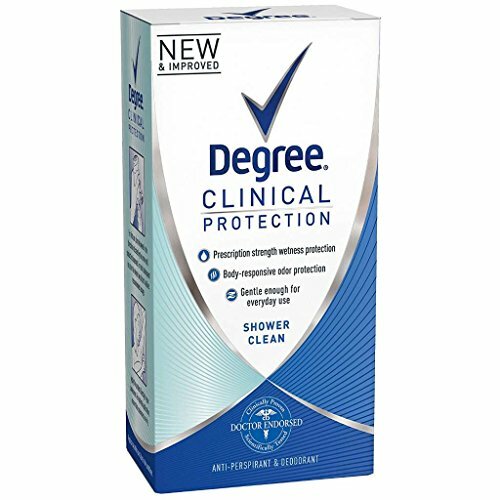 With a medley of rose and jasmine scents, Degree Shower Clean offers long-lasting freshness. This clinical strength deodorant gives strong protection. Gives strong yet gentle protection. Long-lasting 48 hour sweat and odor protection.